What Is the Story of Other Desert Cities? Set in Palm Springs over Christmas weekend, Other Desert Cities centers on the powerful Wyeth family. Patriarch Lyman, an actor-turned-ambassador during the Reagan administration, and matriarch Polly, a former screenwriter, are set to celebrate the holidays with their adult children. Without informing her parents, daughter Brooke Wyeth, a once-promising novelist, has written a memoir exposing painful family secrets. Her brother, Trip, the creator of a hit TV reality series, tries to stay out of the crossfire as their alcoholic aunt, Polly’s sister Silda, eggs Brooke on. In a series of confrontations, the Wyeths sift through conflicting memories of the past and face serious choices about how to go forward. We've all heard this scenario before: Family members gather for a fraught holiday reunion in which embarrassing family secrets – lubricated by booze and resentment – tumble out. But Jon Robin Baitz has taken that cliche and somehow made it vibrant in Other Desert Cities.... The script crackles with life and so do the performances. Like all the great desert tribes of antiquity, Palm Springs Republicans deserve their own sacred text. 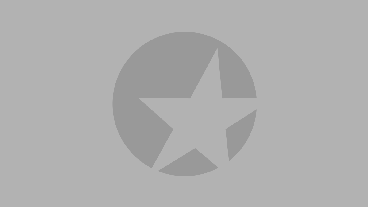 Jon Robin Baitz, a gay liberal humanist, has delivered them a doozy with Other Desert Cities, his off-Broadway hit, which has now ripened admirably on Broadway. Power, passion, and superbly crafted palaver stippled with blowdarts of wit—this is what Baitz (The Substance of Fire, TV’s Brothers and Sisters) does best. What Is Other Desert Cities Like? This funny and searing play by the creator of TV’s Brothers & Sisters, which received universal acclaim in its off-Broadway debut, is filled with clever exchanges among family members who know exactly how to push one another’s buttons. Wicked director Joe Mantello guides a cast of award-winning stars who work together in perfect harmony. Indeed, audiences feel as if they’re sitting with the Wyeths in their perfectly rendered mid-century-modern Palm Springs living room. 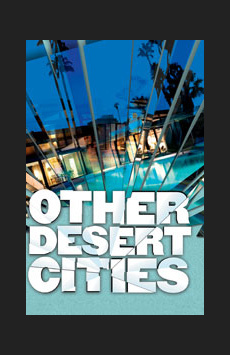 If you crave a smartly written, beautifully acted new American play, Other Desert Cities is the ideal choice. Is Other Desert Cities Good for Kids? The play’s adult themes and sophisticated language make it appropriate for older teens and adults.